In a selling show at south London’s Morley College dealer Neil Jennings celebrates the work of Edward Bawden (1903-89). 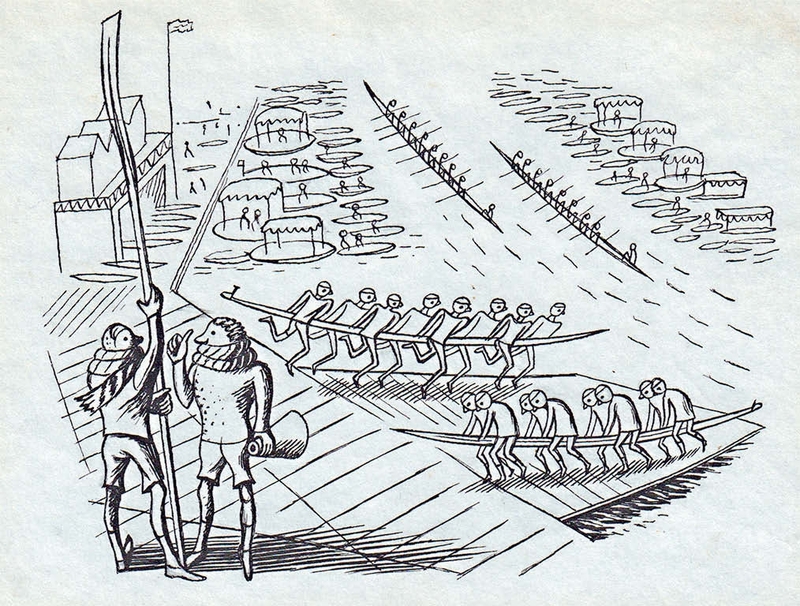 Edward Bawden’s Henley on Thames (but Shell on the road) is priced at £2400. Standing a little outside life – Edward Bawden and his Friends and Followers runs until June 23, and focuses on both the artist himself and the works of his extended circle, including a number of contemporary commissions. This is the most recent in a series of shows to focus on the artist including Dulwich Picture Gallery’s Edward Bawden (until September 9) and Fry Art Gallery’s Edward Bawden at Home (until October 28). The Higgins Bedford’s Edward Bawden and His Studio closed in January. “Interest in him is higher now than it’s ever been. People used to talk about him usually along with Eric Ravilious. Now it’s all about him in his own right,” Jennings tells ATG. Bawden was born in Essex and attended the Royal College of Art, School of Design, where he met fellow artist and future collaborator Ravilious. He took a diploma in illustration and during his career he worked as a printmaker, illustrator, watercolourist and designer. As well as his work as an official war artist, he executed a number of commercial commissions for companies such as Twinings and Fortnum & Mason. The 125 works at the Morley show include a number by Bawden’s contemporaries as well as more than 20 new works by current artists specially created for the exhibition. These respond to four aspects of Bawden’s work: pattern design, lions and unicorns, London and Eastern England. Among the artists featured are Edward Ardizzone, Richard Bawden, Graham Sutherland and Paul Nash, and the artists commissioned include Peter Bailey, Eleanor Crow, Ronald Hellen and John Lawrence.